The gardening show season kicks off this month and one of the first shows of the year has been voted favourite in a survey of Which? members. The Harrogate Spring Flower Show achieved an overall score of 86% and was the show most visitors would recommend to others and go back to themselves. This year, it runs from 25-28 April. Visitors particularly liked the flower competitions, the quality of plants for sale, all the other things to buy and the gardening advice. 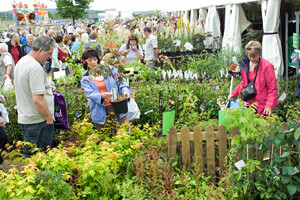 This year’s show promises 17 show gardens and more than 100 nurseries, many from the north of the country. There are craft and gift and food marquees, a cookery theatre and floral art competitions, so there should be plenty to occupy non-gardeners. Tickets are £14 in advance or £16.50 on the gate and under 16s get in free if accompanied by an adult. We asked 2,342 Which? 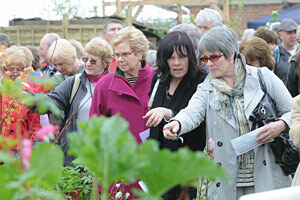 online members about gardening shows they had visited. Scores are based on the members rating each show ‘excellent’ or ‘very good’ overall.